In a bowl, combine barbecue sauce, maple syrup, maple extract and salt; mix well. Remove 3/4 cup to a small bowl for serving; cover and refrigerate. Grill chicken, uncovered, over medium heat for 3 minutes on each side. 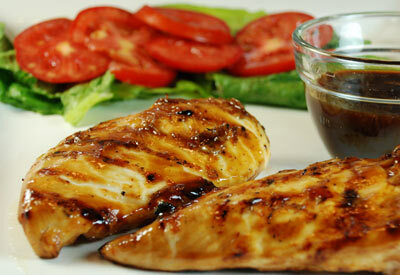 Grill 6 to 8 minutes longer or until juices run clear, basting with remaining sauce and turning occasionally.